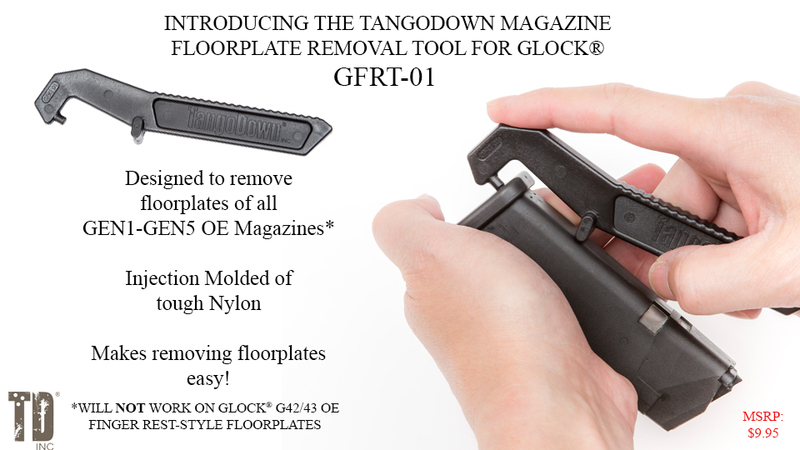 TangoDown is now offering the BG-AKOE BATTLEGRIP which is essentially a simplified version of the excellent BG-AK BATTLEGRIP. Everything that makes the BG-AK great is present – the hand filling shape, comfortable grip angle, and the texture. 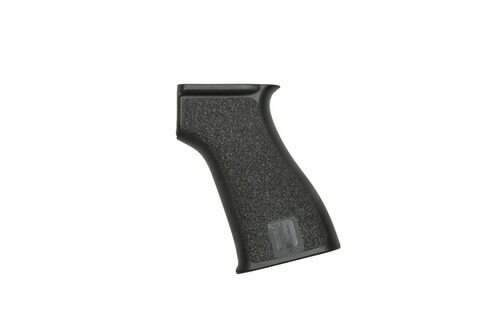 The only thing that the BG-AKOE lacks is the rubber plugged storage area in the grip cavity. TangoDown was able to reduce the price of the BG-AKOE by more than $5.50 just by removing that one feature. Check out the new BG-AKOE BATTLEGRIP at TangoDown.com. Don’t miss the Thanksgiving promotions at TangoDown! 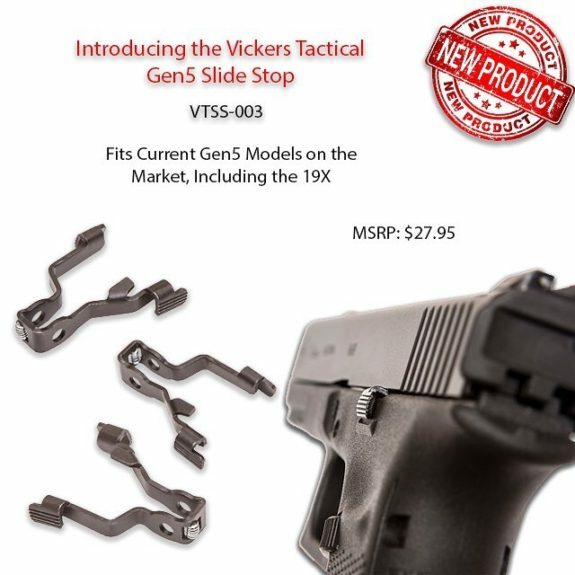 This would be a great time to finish that Glock project with some Vickers Tactical parts. And just like that…the 2018 holiday season is upon us! Between November 21st and November 30th, TangoDown® customers can enjoy 10% off orders up to $125 and 15% off orders over $125. When placing your order during promotion periods, keep in mind our order system runs on Pacific time and must be placed by 11:59pm (PST) on November 30th for the order to qualify for the promotion. No offer code is needed, just shop and save! The entire TangoDown® team wishes you and your loved ones a wonderful Thanksgiving! **Please note, orders placed after 10:00am (PST) on 11/21/18 will NOT be processed/shipped until after the holiday weekend. 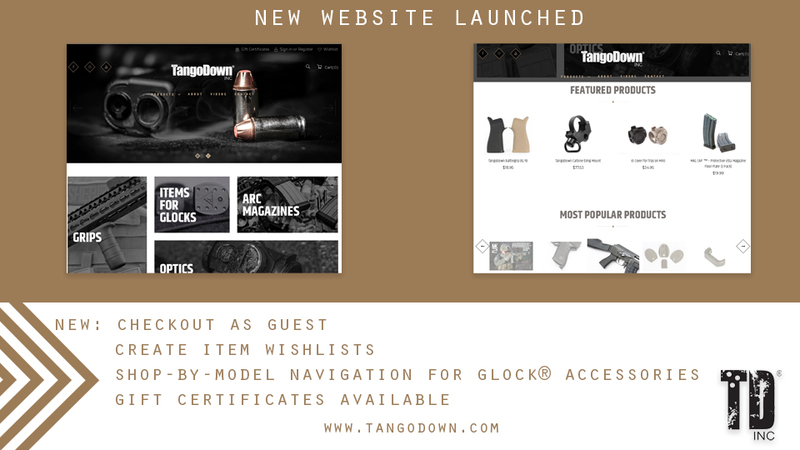 TangoDown® Inc. is excited to introduce our new website – Happy Birthday to us! We teamed up with the great folks at Ballistic Agency to create a site with several new features and using a platform that is much more user friendly. The project has been in the works for several months and the transition recently took place. Over the next few days or weeks, you may see some changes or additions as we continue to “perfect” our vision. At this point you shouldn’t see interruptions or outages as you shop. If you have shopped with us before, your account was transitioned to the new system. All you need to do is follow these steps: Go to the site and click ‘Sign In’ on the top right corner. Followed by clicking ‘Forgot Password’, enter your email address you used to establish your account. You will then receive an email with a link to reset your password. Previous orders you have placed with us will not be available, but if there’s something you need assistance with from a prior order – please contact us and we’ll be happy to assist you. 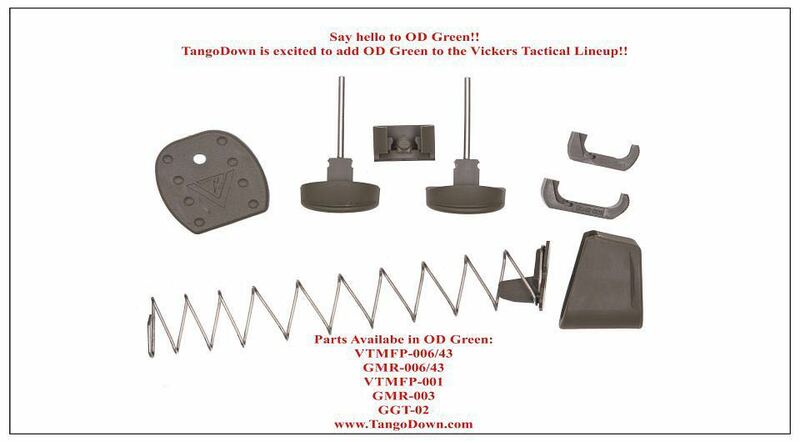 TangoDown™ Inc. has added Tan to the Vickers Tactical™ Gen5 Glock™ Slide Racker color options. 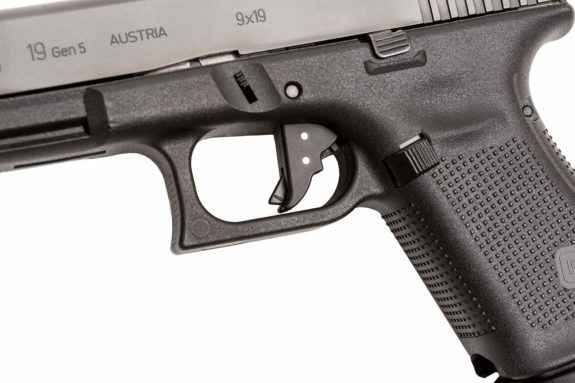 The color is the traditional Glock™ Tan but blends nicely to the tan configuration of the 19X. 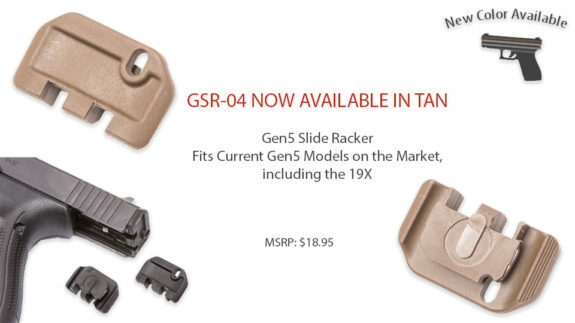 For those not familiar with the Slide Rackers you can review previous media releases or visit www.TangoDown.com and check out the Slide Rackers available under the ‘Items For Glock™’ tab. **If you aren’t sure what part you need, email TangoDown with the Gen/Model & their team will point you in the right direction. **If you aren’t sure what part you need, email the above email address with the Gen/Model & our team will point you in the right direction. 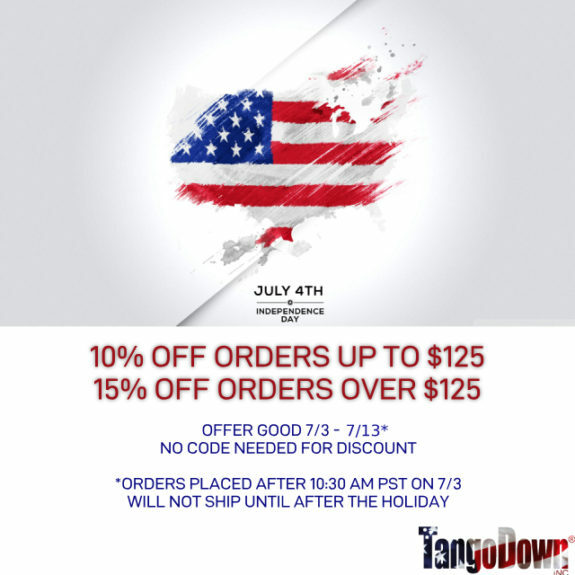 TangoDown™ Inc. wants all of our awesome customers to enjoy the opportunity to save during the Independence Day Holiday! 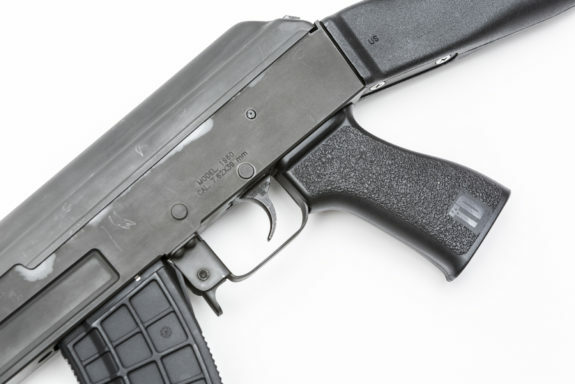 Celebrate your freedom & Second Amendment Rights by outfitting your favorite firearms. Visit: www.TangoDown.com to start your retail therapy session.